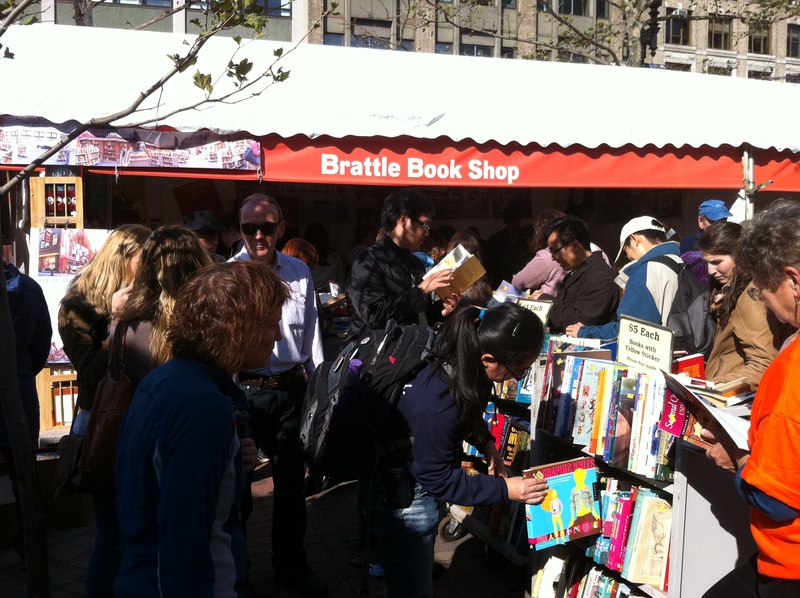 Blue skies were smiling at me on Saturday as I made my way toward Copley Square for the Boston Book Festival. The festival was extremely well-attended, which has to be a good sign: a city that reads together, stays together, at least in my book. One of my only regrets this summer was not finding enough time to read. It remains one of the great pleasures of my life. I still remember the long ago thrill at age six of being able to read myself “a big kid’s book” (or one without a photo on every page). I had checked out Beverley Cleary’s Socks from the public library. I spent the remainder of the day reading through its 160 pages by myself. From that point, I knew I was hooked. The Harvard Bookstore (still going strong after more than 75 years in business) has become a bit of a haunt for the purpose of perusing new candidates. The basement is dedicated to an impressive array of used and remainder books, quite a few of which are food-related (everything from cookbooks to food memoirs). These days, I suppose you could have worse habits than buying used books; the place and its prices are hard to resist.